Hope everyone had a good rested weekend and a “not so dreadful” Monday. 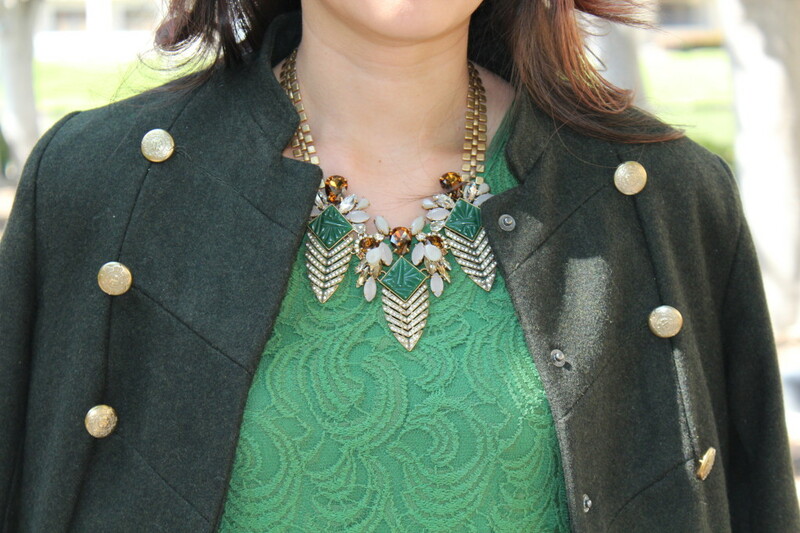 Today’s post is all about green hue! This color is somewhat sentimental to me. I had so much darker complexion growing up in Vietnam, and the default color for my outfits were green most of the time since I was told that green compliments my…almost brown skin tone. If we celebrated St. Patrick days in Vietnam, then I was definitely in tune 5 days out of the week! Now, needless to say my colors horizon expands so much more compared to the olden days. I only have few pieces that are green, and this dress is the one that I absolutely adore. I consider this my “Little Green Dress”. It has been my great companion, can be worn with my cowboy boots for an errand day or with heels and a statement necklace, it gives me elegance and comfort at the same time.